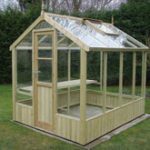 The last post was all about Swallow Greenhouses a great range of timber frame greenhouses to suit a wide range of garden styles, below is what they say on the back of their brochure some sound advice about greenhouse bases. The base can be larger than the greenhouse if required by the customer but it must not be any smaller. Swallow (GB) will ask if the wall is straight and will request photographs if necessary Swallow (GB) will ask the type and height of the wall upon receipt of the order. Once the order is received, we will forward a base plan for the building. We then ask you to contact us when the base is ready to enable us to plan installation. There is a plastic section fixed around the bottom of the greenhouse. This keeps the timber off the ground, prolonging the life of the building. So pay attention and follow the advice above from Swallow Greenhouses for the ideal base for your new Swallow Greenhouse. I love receiving new marketing information from our various suppliers and one that was dropped onto my desk last week was a great partner we have called Swallow (GB) Ltd we have been working with this company since our first introduction many moons ago. 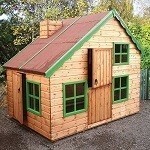 Swallow Greenhouse products are made from Thermowood which is manufactured from red wood pine. The process involves kiln drying the timber which is put into a special oven where a powerful compressor which removes the air, the temperature is raised to 215 degrees C which bakes the timber, the result seals the capillaries, destroys resins and proteins and stabilises the timber. Some general advice from Swallow Greenhouses on how to keep your greenhouse in tip-top shape. A greenhouse is an excellent addition to any garden, whether a novice or a time honoured gardener, it is always good to receive a few tips. 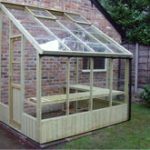 Your new Swallow Greenhouse will give you the ability to extend the growing season, with the possibility to grow produce that would not usually grow in your area of the country. All Swallow Greenhouses are fitted with automatic vents allowing ventilation and temperature control. These help to make the greenhouse efficient and with the inclusion of a regular cleaning routine will keep your greenhouse pest and disease free. By far the biggest problem you might come across in your greenhouse is mould. However, with a few simple steps your greenhouse should be mould free all year round. Grey mould is caused by the fungus Botrytis Cinerea, a common fungus with a wide host range. It produces are large amount of spores that move around the greenhouse via air currents. To help control the grey mould a control of the environment should be maintained, this will prevent the fungus growth and to sporulate. By keeping the humidity level below 85%, as well as ensuring good air circulation and adequate plant spacing. In the first instance its a good idea to find way suits you best. With the seasons in mind, a warm sunny day will put less stress on the plants when you move them outside. 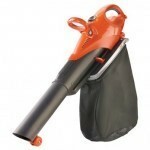 This will enable you to use cleaning solutions without the worry of damaging or spills on any of your plants. Working from the top to bottom, clean the windows thoroughly with soapy water, adding one part bleach for ten parts of water if you can see mould or moss growth. 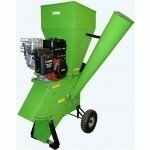 Sweep off any growing tables or staging to clear out any dirt or weed remnants. Discard broken or unsuitable growing containers. Clean and sterilize any benches and tools. Sweep and disinfecting the floor, another step pertinent to maintaining a disease and pest free greenhouse. This is also a good opportunity to clean the outside of the greenhouse, clearing gutters, opening vents to clean thoroughly, cleaning windows. To maintain a healthy and well balanced area for your plants to grow, a routine daily maintenance schedule is a good idea. Just simply sweeping, weeding, removal and disposal of infected and damaged plants. Areas kept clean and tidy as you become more familiar with your greenhouse you will be able to notice where any maintenance is required. All these measures will add up to a healthy growing environment for your plants, with an abundance of growth. Its been an interesting few months. BT eventually managed to install our new phone lines at Woodmeadow Garden Centre and we have, after much long awaited anticipation moved our sales office into the Brooklyn Log Cabin that’s at the front of the garden centre. 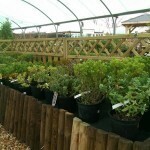 Over the last couple of years as our industry has evolved and as garden fashions are ever changing so has our business changed, we have a new team of cabin fitters, new suppliers with new ranges of products, new display buildings and greenhouses at our new garden centre, new challenges everyday. If it was easy everyone would be doing it. or the quality log cabins that for only a little extra have better accessories, buy cheap buy twice is a saying that’s been drilled into me over the years and is a common thing I talk about with customers in the garden centre when they are complaining about a cheap alternative that they have purchased and it only lasted for one year. Buy cheap… Buy twice…Ring us for friendly advice or pop in for a cuppa and a chat. We will be closed Easter Sunday, according to the Sunday Trading Act as we unfortunately fall into the criteria of ‘shop larger than 280 square metres’ which means we have to close on Easter Sunday, so as well as being one of the busiest weekends of the year on the roads for travelling; Easter Bank Holiday Weekend is also one of the biggest weekends of the year for Gardening and DIY and a lot of the larger retail places across the country will be closed so check before you venture out and save a wasted journey. For the garden buildings, sheds, summerhouses, garages and workshops on our website it is unfortunately too late now to get anything delivered before the bank holiday weekend but you can still visit our Garden Centre (except Easter Sunday) enjoy a Panini or toasted sandwich in the Tearoom and take a look at the buildings we have on display. 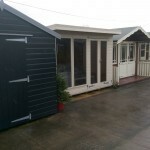 (Its always worth calling before your visit to check we have an example of the log cabin, shed or particular product you are looking for as we have thousands of products on the website and cant physically fit everything in the garden centre. Its taken nearly a year but the purchase of Woodmeadow Garden Centre was finally completed and we had our first Christmas. 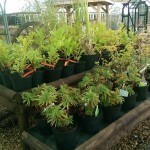 We have been extremely busy within the Garden Centre stock taking, organising and planning for the coming season. 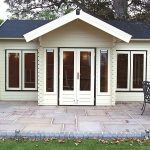 We have a good selection of new buildings on display from our Ready built and installed range which now includes a factory painted option as well as the standard range of dip treated golden brown or pressure treated options. 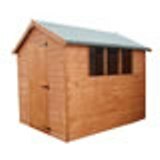 this is our most popular range of garden buildings including Heavy Duty in both Pent roof and Apex roof styles in a wide range of sizes to suit. 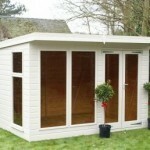 as well as the ready built sheds we have a great range of ready built Summerhouses in a variety of styles and sizes. 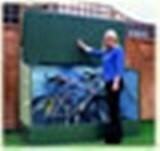 the best part is if we haven’t got exactly what you want we can in most cases make to order, so if you have a space that requires a particular size garden building and you have found a style you like then why not ask if we can make it to the size you require. 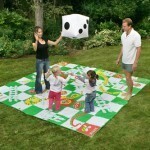 We have many diverse designs over the years and will always do our best to meet your requirements. 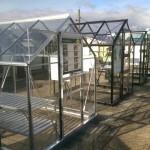 Greenhouses at great prices with quality service and many accessories everything you need to grow your own. As well as the space being made for the buildings and the greenhouses we have also been working on the plant tables rebuilding, tidying and making space for some of the new stock that has been arriving ready for the 2016 season. For any of our friends that have been and visited over the years our tearoom is now under new management with a more extensive menu (difficult to keep out of as the cake is amazing). With winter well underway there are few things you need to take care of to make sure you stay on top of the gardening. Keeping on top of the weeding and having a general tidy up of the borders is obvious, and if you haven’t already, start a compost. Start by going out and buying a bin or making a partially enclosed area for a heap. You must make sure to replace the goodness in soil after the growing season, not to mention autumn offers masses of garden waste. Cuttings from the lawn, bedding plants, moss, hedge clippings and kitchen peelings are ideal! Make sure to turn the heap over once a week, but never add any diseased or pest ridden material to your compost, they are for the bonfire. The greenhouse is due a good clean, make sure to do it thoroughly to prevent pests hibernating. Wash both the inside and outside windows to allow maximum light to get through. You basically want to hose down the entire greenhouse, especially the dark corners. If you feel up to it, take all your plants out the greenhouse, light a sulphur candle in the middle of the floor and shut the door. Leave it until the smoke and fumes have completely gone, (a good 8 hours later) and your greenhouse should be pest free! Take care of your soil by digging in good compost, and as much organic matter as possible. Now is also the perfect time to plant container grown shrubs, trees or bushes, as the moist warm soil is perfect for growing. Although watering isn’t too much of an issue this time of year, make sure to keep an eye on it, there is still the occasional dry period. By keeping on top of the choirs and making sure you are ready for the winter will make your life a whole lot easier in the long run. The key is planning, make sure you know what needs to be done and when to do it and you will be good to go. While you can, it’s a good idea to have a good clean up! Have a go at sorting out the garden; here are a few tips to do this winter. Try tiding the garden shed, make things easier to find, throw out anything you no longer need. Gather all the tools you have been using over the past few months, and give them a good clean, get rid of all the dirt and rust. You can use a mild detergent to disinfect your pots if needed. Check your sheds, gates and fences for any rot or damage, you will want to sort that out before the snow and strong winds start! Now the grass has stopped growing so fast it’s a good idea to leave it alone and let it have a bit of breathing space. But don’t forget to dead head any autumn-flowering plants before the frost starts! With all these dead leaves and cuttings, now is the perfect time to start a compost bin. If you already have one, try giving it a stir to help speed the process up a little. 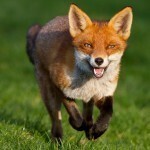 While you’re at it, put out some fat blocks and other food, this will help out the local wildlife. This will also mean that frogs, birds and hedgehogs will stay in your garden, by the spring they will repay the favour by keeping the typical pests at bay! 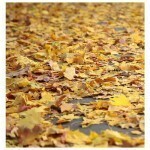 The one and only down side to this season (in my opinion) is the mess that is caused by the falling leaves, in my youth I used to love charging through the huge piles that gathered on the pavements and kicking them up as high as I possibly could. Obviously being a grown-up I can’t really do that nowadays (unless I am absolutely sure that no one is watching – then it is a free for all in my case!). Unfortunately the falling leaves are non biased about where they land and you will undoubtedly come down one morning to find your perfectly manicured lawn awash with the pests! Not only that, if you don’t get rid of them fairly soon your lawn will soon turn in to a mulch pit – not a pretty sight! Looking after our feathered friends! September 2015 is officially national chicken appreciation month! A stroll by the pond! 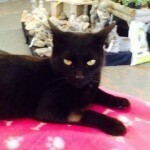 Naturally the limelight this month has to go to our Luna and her chums who live at our garden centre in Northampton. If you have ever visited our show site you are bound to have seen them – they are down the bottom end of the shed display area next to the pond and bridge. Failing that you would almost certainly have heard them on a visit as we have a magnificent cockerel who lives with them who likes to make his presence known by crowing at regular intervals. Luna has been with us for a few years now and has been a firm favourite with children who like to see her shiny feathers and feed her some grain. In fact she almost puts Mrs Bo’s nose out of joint sometimes! 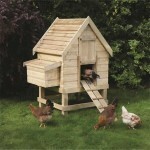 This hen house is the perfect area for keeping your birds. 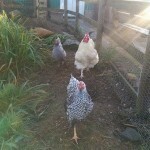 Luna and her friends are housed in luxury accomodation in a timber Hen House which includes a raised floor, single door and separate closing hen access door with ramp.We have a model available on the Taylors Garden Buildings website measuring 6×6 (including the run on the front). The run on the front of the Hen House has galvanised mesh with lockable door to keep them safe inside at night time from any predators who like to visit and have a mooch around. Being surrounded by fields at Woodmeadow it is inevitable that we get the odd late visitor here and there and this hen run gives us confidence that our feathered beauties are safe and sound. We have had this hen house for as long as we have run Woodmeadow Garden Centre (just over three years) and have had perfectly satisfactory use from it (Luna has certainly never complained – especially in the middle of Winter when she and her colleagues are all tucked away nice and warm in the early hours!). We also have two more models available on the Taylors website which are manufactured by one of our most successful manufacturers – Rowlinson. 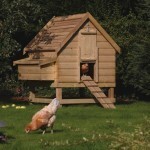 The smaller of the two models is designed to comfortably house 4 chickens. 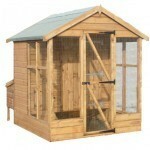 Featuring a two compartment nest box and internal perches as well as an easy access ramp. This coop carries the Forest Stewardship Council (FSC) logo supporting the responsible management of the world’s forests. This indicates that any wood used is sourced from well managed forests. With a natural timber finish, this coop is pressure treated. The compartments on both of our Rowlinson models feature removable lids for easy egg collection. The coops have easy access with a slide opening door with hook supports as well as a rear door. For ease of cleaning the coops are fitted with a slide out floor. 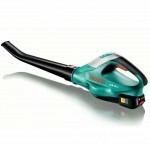 Click here for more specifications on these models. The larger of the two models has all the same features as its smaller counterpart but is designed to comfortably house 6 chickens. We don’t just cater for chickens on Taylors website either – we also have housing available for all types of smaller animals as we also have some kennels and catteries available too. 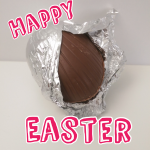 Come and take a look – don’t be chicken! (Sorry). With thanks to Mr Adam Freeman for the inspiration to write this blog. 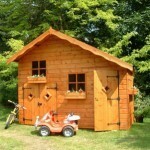 A wood shed in a garden can provide great storage space for wood and other stuff. Furthermore, wood is often preferred for building a shed since it is a natural material and therefore it enhances the garden environment. However, if you wish to paint your wood shed, you must be careful to do the job correctly in order to apply a protective coating on your shed to protect it from water penetration and even pests. Hence, here are some tips which you should consider before starting painting your wood shed. Preparing the surface is the most important step when painting a wood shed because if you don’t have a surface that is free of dirt, loose paint or other debris, you are going to end up with flaking and blistering down the rot. Hence, if your wood shed is made from bare wood, you don’t have to do any scraping or sanding. So, all you need to do is use a pressure washer to clean up your wood shed so you will have a nice clean surface to paint on. Before you start using the pressure washer, make sure to repair or replace any loose or broken boards from the shed. Additionally, try also to work in a set pattern while you spray to avoid missing some spots while cleaning others repeatedly. Remember to clean all surfaces that will be painted and not just the obvious ones. Once ready, leave the shed to dry for a day. Once the shed is completely dry, you can apply an oil-based primer before starting painting. The primer will seal any holes and will prevent any pests to feed themselves from the wood. Hence, before you apply the primer remember to mask off anything you don’t want material sprayed on. Moreover, if you are using a paint gun for painting the shed, try to maintain a level spray pattern throughout the entire spraying motion and avoid spraying in an arc. Once the shed is cleaned and primed you can start the painting process. At this point, it is recommended to use a paint gun rather than a brush in order to evenly paint the wood shed. If necessary, try to apply the paint in thinner coats rather than in one heavy coat to avoid runs, drips and sags. You should also hold the sprayer level at a distance of about 10 inches or 12 inches from the surface and move at a steady pace until you spray all the shed. Furthermore, overlap the spray pattern by approximately 30% to achieve even coverage. Once you have sprayed all the surfaces of the wood shed, check the shed for any spots that you have missed during spraying. If you find some, carefully spray them and make sure that you maintain the coating evenly. At this point, you will have your wood shed painted completely and ready to use. If you wish to have your wooden shed camouflaged among your garden trees and foliage, it is advisable to choose any green-toned paint and not a bright conspicuous color.